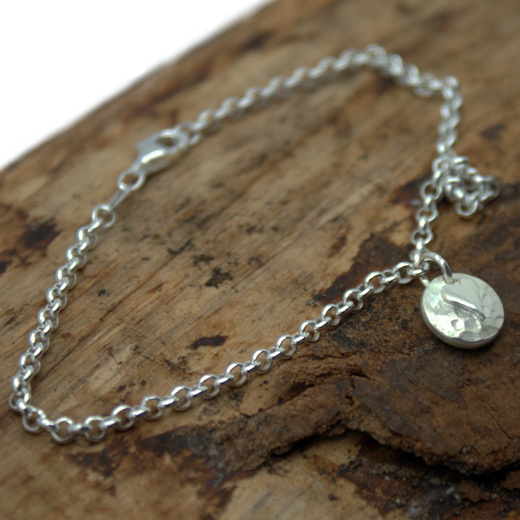 An eye catching, simple but stylish bracelet from the Yulan range, this sturdy belcher chain bracelet features a single the small round sterling silver disc that has been planished (hammered) and embossed with a highly polished heart. This bracelet would look classy on any wrist and would be suitable for dressing up any outfit and look equally elegant with evening wear. 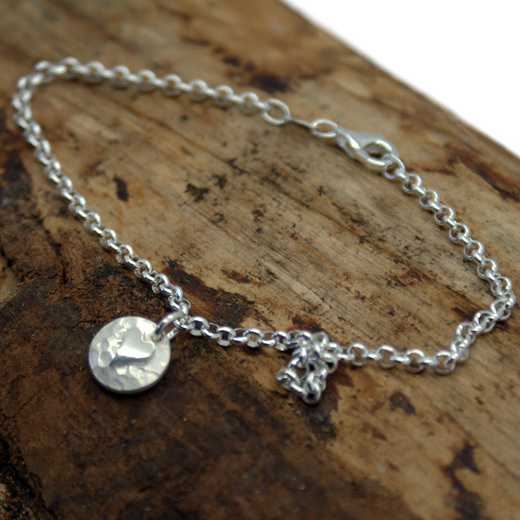 It is suitable to layer with other bracelet syles and fastens with a lobster clasp. 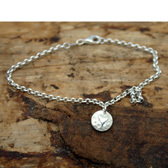 We also have earrings and a pendant with chain to match the pendant on this page. A high quality sterling silver bracelet and great value. Like all of our products, it is brand new and in stock in the UK, ready for our super fast shipping. Not exactly what you are looking for? 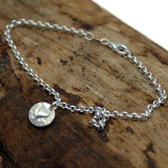 We have a wide range, see the sterling silver bracelet gallery for other options.